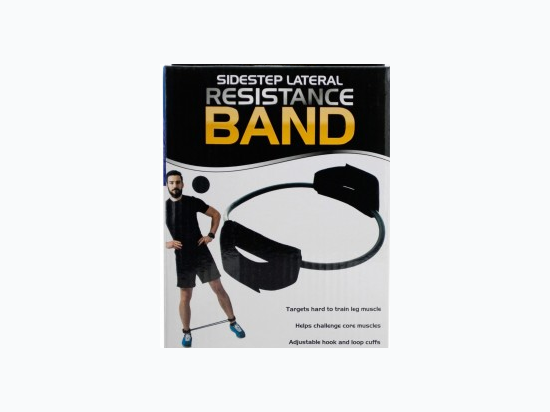 Help strengthen muscles, prevent sports injuries and improve balance with this Sidestep Lateral Resistance Band featuring a durable, stretchy plastic tube band with adjustable, soft-lined nylon cuffs with hook and loop closures. 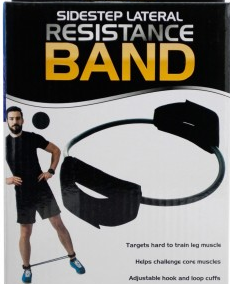 Band is designed to target often neglected large muscles of the inner and outer thighs in addition to your front and rear glute muscles, hips and quads. Measures approximately 12" long x 8" wide.